In 1989, Stephen Covey published a book called The 7 Habits of Highly Effective People. It was a best-seller then, and it continues to top the charts today. It’s universally recognized as one of the most influential self-help books ever written, helping people from all walks of life solve their personal and professional problems. What does the book do in essence? It does what a successful and effective hypnotherapist does. It helps people with their problems. So would it be possible to make a similar list about the 7 habits of a highly effective hypnotherapist? Let’s see how Covey’s principles apply when used to become a brilliant hypnotherapist. If you’re a hypnotherapist, you’ll recognise these points. It’s what you spend most of your time doing. Helping people resolve issues so they can live a happier and more rewarding life doing what they want to do and feeling the way they want to feel. So the next question is, can you use Covey’s insights and wisdom to be a more effective hypnotherapist? 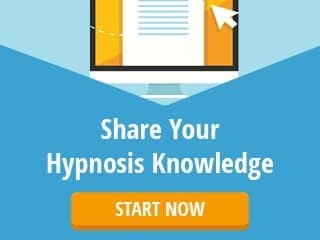 Here are the 7 habits he promotes as they might apply to anyone wanting to run a successful and booming hypnosis practice. The first habit focuses on taking responsibility for your life and career as a hypnotist. Some people are proactive. They make things happen. If things go wrong, they don’t blame anyone but themselves. Other people are reactive. They blame everything on something or someone else. So instead of creating the life they want to live, they let circumstances dictate what happens to them. As hypnotists, we want to be proactive. For example, with the availability of the internet, it’s become easier than ever to start and run a hypnosis practice. It’s become easier than ever to look for clients and subjects who will pay you for your time and expertise. But there’s also another side to it. 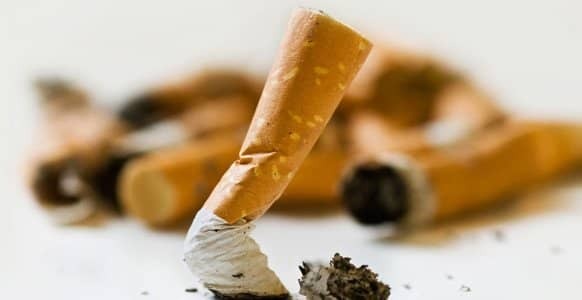 Since it’s so much easier to do these things, more people are taking advantage of it. That means there’s more competition than ever before. Meaning you have to be proactive if you want to drum up more business and keep those clients knocking on your digital door. Let’s face it. If you don’t have any clients, or customers, you don’t have a business. Money is NOT a dirty word: it’s a necessity. Doctors don’t work for free. And neither do the police. So why should a hypnotist? Think about it in another way. By being proactive about building a successful practice, you’ll be in a position where you can help more people. And that’s what being a hypnotist is all about. According to Covey’s best-selling book, proactive people focus their time and energy on things they can do something about, on things they can control. You can’t control the weather, but you can make sure you’ve got an umbrella when you need one. Likewise, you can’t stop other people from running a hypnosis practice, but you can make sure your practice is the best it can be. Outsource any technical work regarding building a website or maintaining it so you’re free to practice hypnosis. The money you spend will be an investment in both financial terms and in terms of freeing up your valuable time. Habit 2 is all about knowing what you want to be and what you want to do. It concerns being able to see in your mind what you want to happen in your life. It’s a plan for success. The thing is that your clients may know what they want to be doing, but might not know how to go about doing it. They know they should be able to get over a break-up, but they just don’t know how. They know they should be able to handle criticism from managers in the workplace, but they don’t seem to be able to do it. As a hypnotist, you can spot the bigger issue. You can tell that what’s really going on here is a lack of self-esteem. And as soon as you work that out, you can move on to helping them fix this issue. 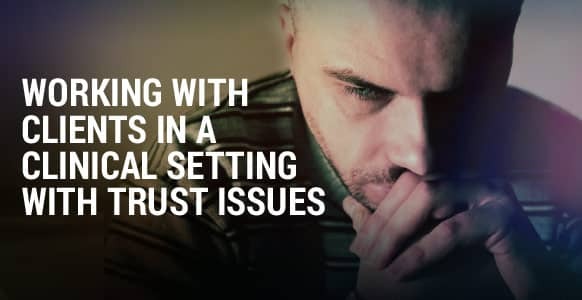 Low self-esteem shows up as a lack of confidence, feeling unable to make yourself heard, being too critical of yourself, and possibly always seeing the negative side of things. As a hypnotist, you can tackle your subject’s low self-esteem by helping them access their own inner resources. You know that your opinion matters, and you have the power to speak up and make a positive contribution (reintegration). In Covey’s version, this refers to leading a balanced life and not overextending yourself. He also states that Habit 3 is where Habits 1 & 2 come together. So perhaps it means you need to be proactive, but you also need to recognize that you can’t do everything. How might that apply to your clients? It’s about focusing on their priorities. On the goals they’ve identified in Habit 2, whatever they might happen to be. Someone might come to you and say they feel stressed out at work. They’re thinking about work when they’re not at work, and when they are at work they’re thinking about what they’ll do when they’re away from it. You need to find out what the underlying issue is. It could be that they simply want to be able to spend more time with their family. Not because they’re lazy, or don’t want to work hard, but because their family is their main priority. They know they need to work to provide for their family, but they also realise that work is merely a means to an end. Even if they own the business. These phrases and ideas can be offered in the form of suggestions as part of the change work you do during an induction. Helping them focus on what matters most to them while they’re in a trance will make sure the message gets through to the unconscious mind. The fourth of Covey’s habits refers to seeing life as a cooperative situation rather than a competitive one. That makes perfect sense if you’re a hypnotist, because everything you do depends on your ability to communicate. What do you do with those power words you’ve learned? And those hypnotic themes? And the bunch of techniques you’ve got under your belt? You use them to communicate with your subjects. To help them make changes for the better. When you talk about a win-win scenario, you’re talking about a frame of mind. An emotional state where you always look for benefits in every interaction. In terms of your hypnosis work, the parallels are obvious. If a client comes to you with a problem, and you help them resolve it, that’s a win-win. It doesn’t matter what their problem is, because you respect their ideas and feelings. Your goal is to communicate with them, to get at the root of the problem and help them tackle it. That’s why you should always begin your hypnotic interactions with two principles in mind: H+ and going first. H+ is having the positive intention to use hypnosis as a force for good. Going first is getting into the frame of mind you want the other person to be in, i.e. relaxed, excited, focused, and so on. For instance, suppose someone visits you because they want to lose weight but they’re having trouble sticking to their diet. On a personal level, you might feel that diets are a waste of time. But that doesn’t matter. It’s not about you – it’s about them. So you need to think H+. Go first. Think about how it feels to be unable to follow a diet successfully. Think about what it takes to succeed at it. The motivation. How much better it will be for your health. How much better you’ll look. How much more attention you’ll get from potential admirers. And then communicate those positive vibes to your client. Exude so much confidence that they can’t help but be infected by it. Habit 4 is about getting yourself ready to communicate in a hypnotic setting. As mentioned, this entails using H+ and going first. And as important as those things are, they aren’t the whole picture where communication is concerned. As a hypnotist, you’ll know that communication involves so much more than words. You’ll know that it’s possible to sub-communicate how you’re feeling and what you’re thinking, even without saying a thing. And if you can do it, so can the people you interact with. That’s why it’s so important to develop the other crucial skills needed for effective communication. What skills are they? The skills of listening, and of being able to empathize with the other person. In everyday conversation away from the hypnotic arena, most people want to be heard. They want their views to be known or to get their point across. They want to contribute to the occasion, but they also want to let people know that they have an opinion. And sometimes they can be so eager to make themselves heard that they forget to listen to what other people are saying. Needless to say, that wouldn’t be a good way to approach hypnosis. Before you can help anybody with their problem, you need to know what that problem is. And the only way to do that is to ask questions and listen carefully to their responses. If someone comes to see you because they’re so stressed that they can’t stop biting their nails, you’re not going to be aggressive and yell at them. You probably wouldn’t anyway, but in this particular case you’d simply be adding to their stress and anxiety. By listening to what they tell you, you’d realise that what they need first of all is to experience calm and relaxation. 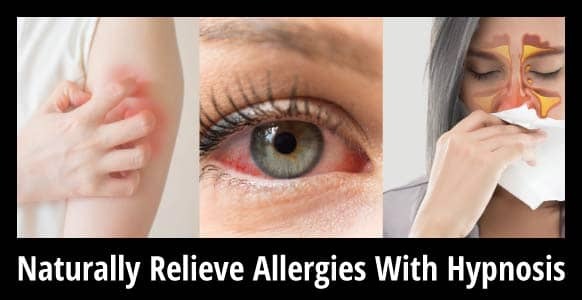 You might even spend extra time bringing them into trance just to make sure they were completely relaxed and stress-free. And you’d do that because, as well as listening to what they tell you, you can sense it. You’re using H+ and being empathic so you can tune into how they’re feeling, to what they are sub-communicating to you. Covey’s title for this habit is the word “synergize” and refers to the ability for people to cooperate and produce better results together than they could on their own. That resonates big time with any hypnotist, because every single hypnosis reaction is one that involves creative cooperation. And it has to be that way. You can’t hypnotize someone unless they want to be hypnotized, and you can’t help someone unless they want to be helped. But if they agree to be hypnotized and you get a high level of compliance throughout, then the results can be absolutely spectacular. Well, isn’t that exactly what occurs during a successful hypnosis session? Hypnosis is all about working together with your client to reach a goal. It isn’t something the hypnotist DOES to the client, it’s something the hypnotist HELPS the client achieve. Something that happens as a result of the interaction between hypnotist and client. The hypnotist becomes a facilitator, helping the client unlock the resources they need to change and the power to bring that change about. By giving them the resources they need to heal, to move on, to change the way they think, feel or behave. Again, it has to be that way. It has to be a two-way street. Any successful hypnotist will tell you that they learn as much from their clients as their clients learn from them. 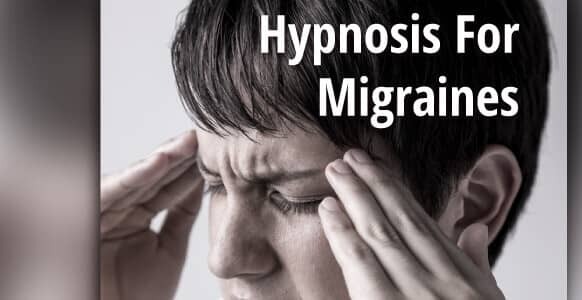 Everyone experiences things and reacts to them in their own way, so it’s unlikely that you will ever go through the exact same hypnosis session with any two people. But that’s a good thing, because variety is the spice of life. This final habit refers to keeping yourself in perfect condition by taking care of the most important asset you have – yourself. Covey states that to stay at your best, you need to devote time to the physical, social/emotional, mental and spiritual aspects of your life. By looking after yourself in this way, you stay fresh and are more likely to have the energy and the means to practice the other 6 habits. 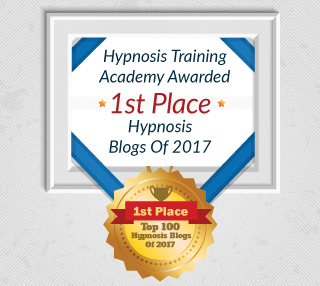 For hypnotists, it means that you are continually learning about hypnosis. To be a successful hypnotist with a thriving practice, you need to stay on top of your game. The minute you stop learning, that’s when you stop growing, and when you stop being able to help people transform their lives. It’s also crucial as a hypnotist to practice what you preach. After all, if you can’t take care of your own wellbeing, how could you possibly advise anyone else to do it? Look after yourself in those 4 key areas mentioned above so you always feel ready to face the next challenge and give it your best. Mental – Stay up-to-date with the latest in scientific research around hypnosis, but also in the fields of meditation and neuroscience (Hint: the added benefit of staying informed is that you can pass this proven info onto “doubting” clients in support of hypnosis). Spiritual – Going back to practicing what you preach… you wouldn’t be much of a hypnotist if you didn’t actually practice hypnosis yourself, would you? Keep your own mental health in check by regularly practicing self-hypnosis, as well as any spiritual activities that help you relax and connect your unconscious mind. Doing these things will help keep you full of energy and enthusiasm for what you do. They’ll also help to recharge your batteries when they need recharging. 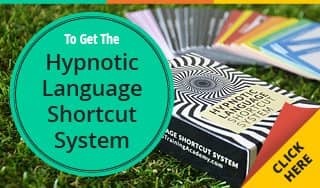 So those are the 7 habits you can cultivate to be the most efficient hypnotist possible. If you were able to make these habits part of a regular routine, it’s highly likely that you’d feel better about yourself and you’d feel like you were doing your very best for your clients. And if you can do that, your success as a hypnotist will surely be guaranteed.